DC Media Single Sign is a desktop based application for managing content, designing layouts and distributing content & layouts to signage players. 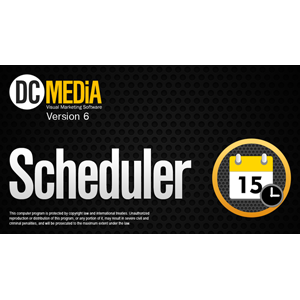 The Scheduler includes a content manager, layer designer and playlist editor in one application. 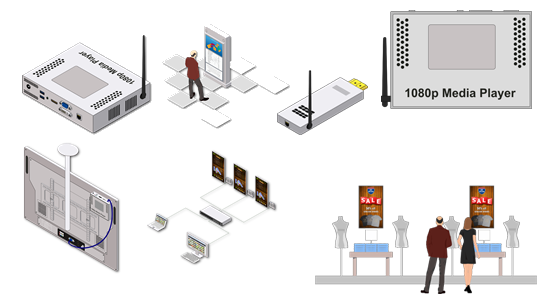 Create great looking Digital Signage network diagrams and project proposals using this specialy designed Digital Signage stencil. Contains Visio stencils, PNG and SVG graphics.